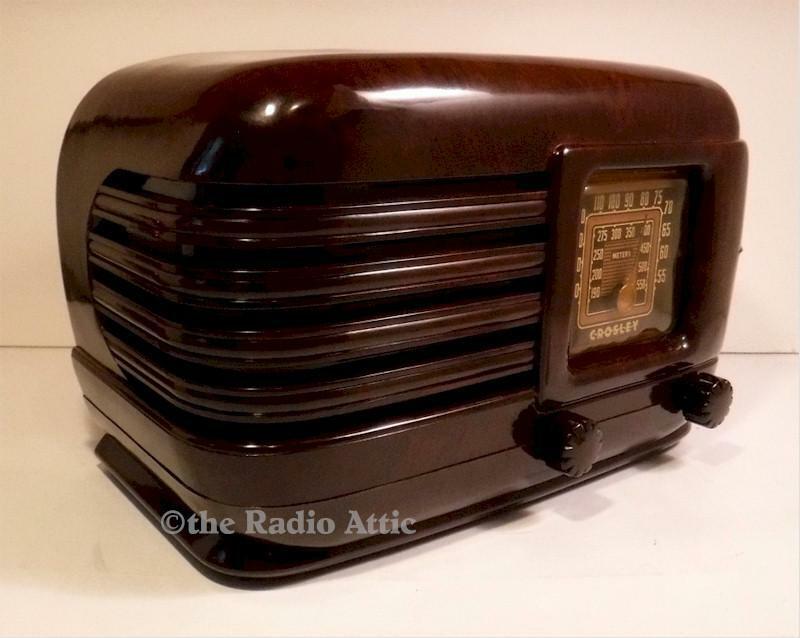 A rare offering is this Crosley Bakelite radio of 1940. It looks like Dad just brought it home from the store. Five tubes and the internal antenna pull in stations extremely well. The dial is beautiful and nicely lighted. Fully restored for safe, reliable use. All paper capacitors and electrolytic capacitors have been replaced with high quality modern replacements. Tubes replaced as needed as well as any other defective parts. Please review my testimonials page to get an idea of the quality restorations I do. 12-1/2"W x 8-1/2"H x 6-1/2"D.
You are visitor number 1,676 to this page.